The second law of thermodynamics states that although energy cannot be created or destroyed, it can be transformed from one form to another. Your car uses the second law of thermodynamics to transform potential chemical energy (gasoline) into kinetic energy (motion). Although energy can be transformed, no transformation is 100% efficient. Some energy is inevitably lost from the system in which the transformation takes place. Often a lot is. For example, only about 30% of the energy stored as fuel in a car’s gas tank is converted into motion due to inefficiencies in the transformation process (friction from the tires on the road, heat radiating off of the engine, etc.). The energy that leaves the car as heat results in entropy. Entropy is a process where things naturally move from a state of order toward disorder—toward simplification and diffusion. In his book, The Myth of Progress: Toward a Sustainable Future, Tom Wessels explains entropy using your home as an example. Every time you do something in your home, you are transforming energy. This creates entropy in the form of dust, scattered magazines, and dirty dishes piled up in the sink. We don’t intentionally create entropy; it just happens—a result of the second law. However, to reverse entropy takes an intentional effort, like the cleaning of our homes—an investment of energy to increase order and concentration. Picture two rooms that are absolutely identical. Each is exquisitely appointed with the same fine crystal vases, rare books, and potted plants. Into each room we will place an individual for one hour. In one of the rooms it will be an adult who will read the Sunday edition of the New York Times. In the other it will be an unsupervised toddler. Which room will be more entropic after one hour? In the adult’s room the turning of the pages of the newspaper has generated some entropy in the form of dust that has diffused into the air. The toddler’s room will be quite a bit more entropic. The striking difference between the two rooms isn’t because toddlers are inherently destructive—they just create a lot more energy transformations as they explore the world around them, which results in greater entropy. The only way to reorder the toddler’s room to its original state is to add external energy to that system. The energy is derived from people cleaning up the room and electricity to run a vacuum cleaner. As a traveler clumsily bumping my way through the world, I identify with the toddler. The fragile artifacts being smashed: my core beliefs, self-serving stories and long-held habits. Travel requires an incredible amount of energy because it involves such a wide range of energy transformations—many of which are wildly inefficient. Transportation, exchange, communication and digestion all become harder. A simple trip out to eat in Asia might involve dodging between cows and high-speed mopeds, negotiating with aggressive tuk-tuk drivers, deciphering a foreign menu and successfully placing an order and, god-forbid, working through an aggressive case of traveler’s diarrhea. Landscapes and cultures also transform as I move through them. My ideas expand and fragment as they collide with foreign realities. Strange cuisines, climbing through the Himalayas and surfing in the tropics have all reshaped my body. If entropy didn’t exist, no energy would be lost in all these transformations. The toddler would never have to be cleaned up after, we’d all be driving perpetual motion cars that run forever on a single charge and I wouldn’t struggle so hard to reconstruct my shattered worldview. We will always pay in entropy for any transformation we create. The only way to reverse entropy is to constantly bring in new energy from outside the system to replace the energy lost through transformations. The greedy caterpillar, who single-mindedly spends his days gorging on leaves, understands this. It is thought that the process of metamorphosis might have evolved to allow the caterpillar access to larger stores of energy without competing with his older brethren, the butterfly. The caterpillar’s gluttony the instinctive trait that ultimately fuels his heroic, self-sacrifice in the name of coexistence—transforming himself so utterly that he ensures the survival of his whole species. It is estimated that as many as 65% of all animal species on the planet may be metamorphosing insects. In the case of our own transformation it’s rarely so intuitive. And why should it be? The caterpillar has been honing his transformative art for hundreds of millions of years against evolution’s sharp, unforgiving edge—itself another process of transformation. Self-transformation is a much more recent phenomenon—many times more ambiguous and far less efficient. It’s messy at best. It’s tempting to think of transformation as a one-time event, after which, like the brave butterfly emerging from its chrysalis, I’ll be forever changed. 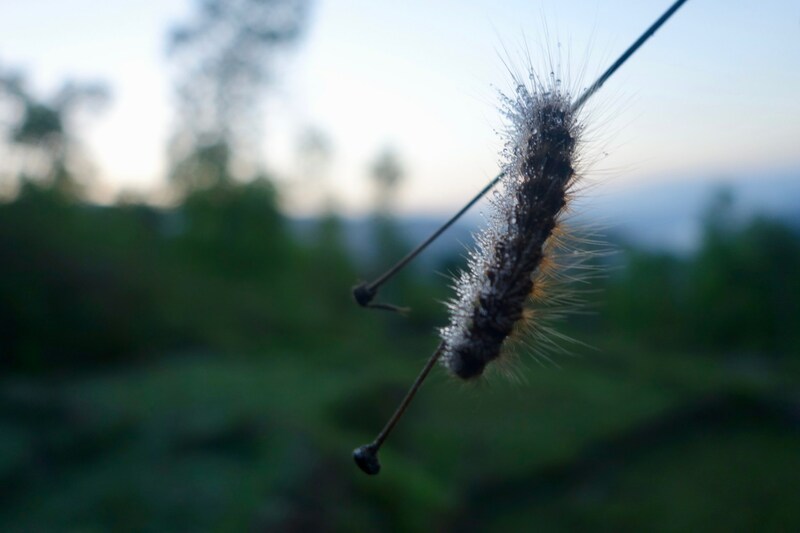 It’s easy to forget the gritty wisdom of the caterpillar: that sustained transformation requires sustained energy; that gathering energy in anticipation, is itself, a critical stage in becoming. Alasdair explores what travel is teaching him about living a meaningful life. You can find more of his writing, including travel tips, stories and pictures at www.alasdairplambeck.com. Writer | traveler. I explore the inner world through travel at www.alasdairplambeck.com.